FRDI Bill: Panacea for banking sector set for quiet burial after PNB scam? The Bharatiya Janata Party (BJP) is yet to make public its position on privatisation of public sector banks (PSBs), but a key party leader said the proposed Financial Resolution and Deposit Insurance (FRDI) Bill would go some way in putting in place a regulatory mechanism for the banking sector. The Trinamool Congress, the Left parties and even the Congress say they will oppose any move to privatize PSBs. These parties are also opposed to the proposed FRDI Bill in its current shape. The Trinamool Congress on Wednesday said the Rs 114 billion Punjab National Bank (PNB) fraud case has strengthened its resolve to oppose the FRDI Bill. The FRDI Bill was introduced in the Lok Sabha on August 10, and is currently with a joint parliamentary committee. The committee, headed by BJP Rajya Sabha member Bhupender Yadav, is to submit its report on the last day of the ongoing Budget session, on April 6. The Bill, therefore, can only come up for discussion and passing in the Monsoon session, the penultimate session of the current Lok Sabha before the next general elections. “It will be steered by a lame duck government that would be better advised to junk it. Hopefully we have staved off this rich man’s bailout proposal,” Trinamool Congress Rajya Sabha leader Derek O’Brien said. Opposition parties believe the Narendra Modi government is likely to give it a quiet burial. Not just opposition parties, the Reserve Bank of India (RBI), stock exchanges, insurance companies and depositories also have serious objections to various clauses of the Bill. Indications from a key member of the government shepherding the Bill in the parliamentary committee was that it has reached out to stakeholders to build consensus on contentious clauses, but a middle ground continued to elude it on several clauses. The last meeting of the committee was held on February 12. At that meeting, the Centre conveyed to members of the committee that it was willing to amend the Bill to specifically state an upper limit for deposit insurance. The existing provision caps the deposit insurance at Rs 100,000. The Reserve Bank of India, however, favours the existing cap, a committee member said. If the Bill is junked, it would face a fate similar to a Bill proposed by the Atal Bihari Vajpayee government in 2000 to privatize PSBs. 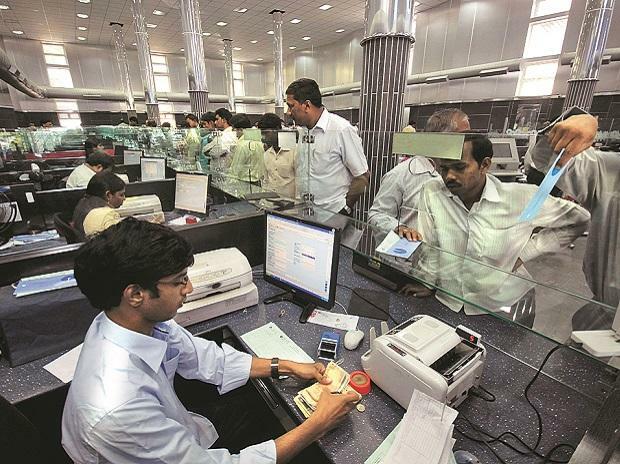 The Banking Companies (Acquisition and Transfer of Undertakings) and Financial Institutions Laws (Amendment) Bill had sought to reduce the government stake in PSBs from 51 per cent to 33 per cent, but was dropped after sustained strikes by bank unions. On Wednesday, O’Brien said his party will not only oppose any move to privatize PSBs, but also continue to oppose the FRDI Bill. “Far from punishing defaulters, this Bill was designed to punish small depositors for the sins of defaulters, corrupt bank managers and political masterminds,” O’Brien said. Communist Party of India (CPI) Rajya Sabha member D Raja said his party was opposed to any move to privatize PSBs, and also opposes the FRDI Bill. The Congress and Communist Party of India (Marxist) have also opposed the Bill. Opposition parties have four principal problems with the Bill. Two, the Bill provides for changing the nature of deposits from one class to another, which would also alter the interest rate or tenure of deposit. “This means the autonomy and savings decisions of depositors will be unilaterally changed by the bank, all because some politically connected person has run away with the bank’s money,” O’Brien said. Three, the Bill provides for a bank to impose a stay on a depositor’s right to withdraw deposits before maturity. “What am I as a depositor to do in case of a medical emergency,” the Trinamool leader asked. Finally, opposition parties also oppose the provision of the Bill that allows a bank to place a moratorium on payment of interest and/or repayment of deposits on maturity.